From medievalfair.org: Step back in time for a day of revels at the Medieval Fair. Enjoy mirth and merriment with kings, queens, knights and fools as the kingdom comes alive. Held annually since 1977, this living history fair features educational exhibits, arts, crafts, food, games, demonstrations and ongoing entertainment at seven stages. 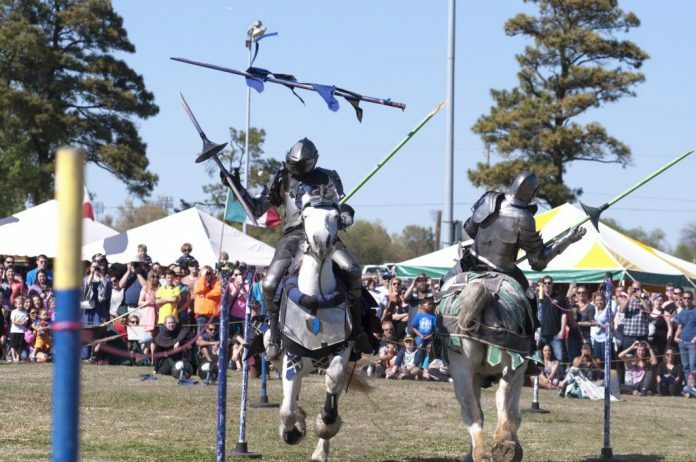 Entertainment for the whole family includes minstrels, dancing, theater and reenactments, jugglers, knights jousting on horseback and human chess games. Brightly costumed characters include King Arthur, mermaids, and the fair’s royal court. The event runs daily from 10 a.m. to 7 p.m. For details, visit medievalfair.org.